Only nine days from perihelion, ISON is lower and lower on the eastern horizon. On Monday night (Tuesday morning, of course) I set the alarm for 3.30 and went out to chase it down at a new location, about a mile south of Killington Reservoir, east of Kendal. It turned out to be a perfect location for looking east, with almost no urban glow on the photos. 300mm f/5.6, ISO 400 150 seconds. 5 frames of 30 seconds. It is almost impossible to process out the combination of moonlight and early twilight, while retaining the detail in ISON’s tail. 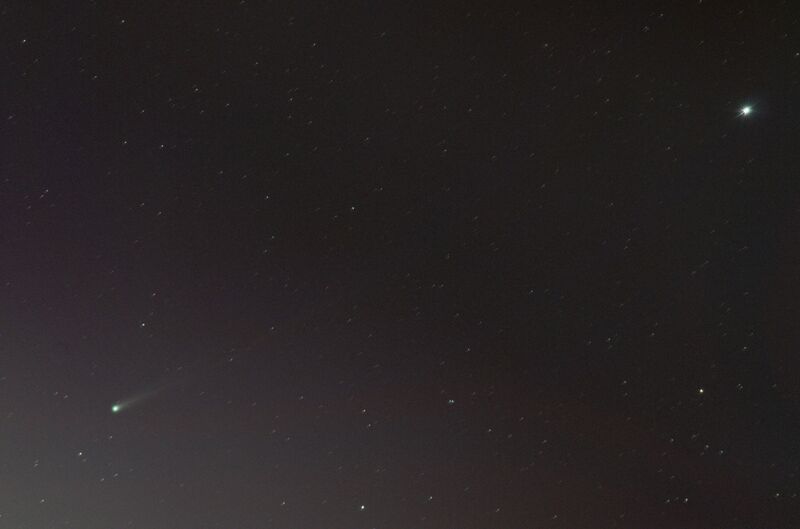 The angular separation of ISON from Spica (top right corner) is about 4 degrees, and others have photographed ISON with a tail in the region of 6 degrees. 300mm f/5.6, ISO 400 420 seconds. 7 frames of 60 seconds. A little more tail detail comes out from this stack of 60-second frames. 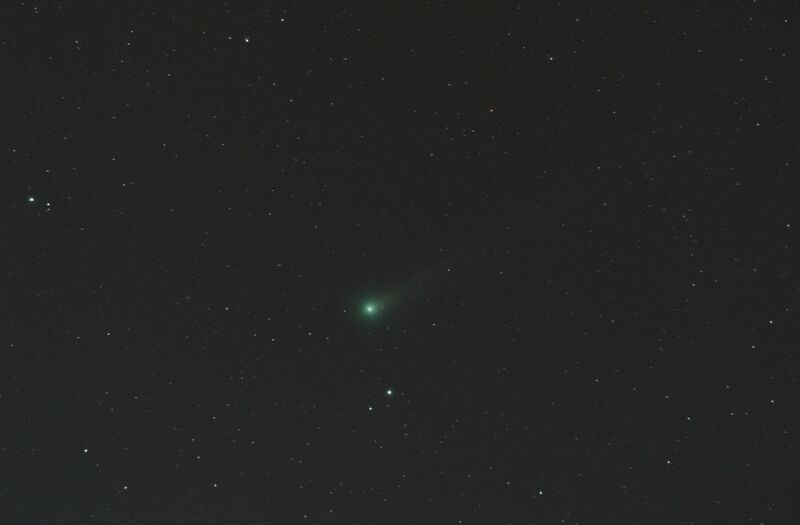 I am using ISO 400 to avoid completely burning out the centre of the comet. 300mm f/5.6, ISO 400 180 seconds. 12 frames of 15 seconds. 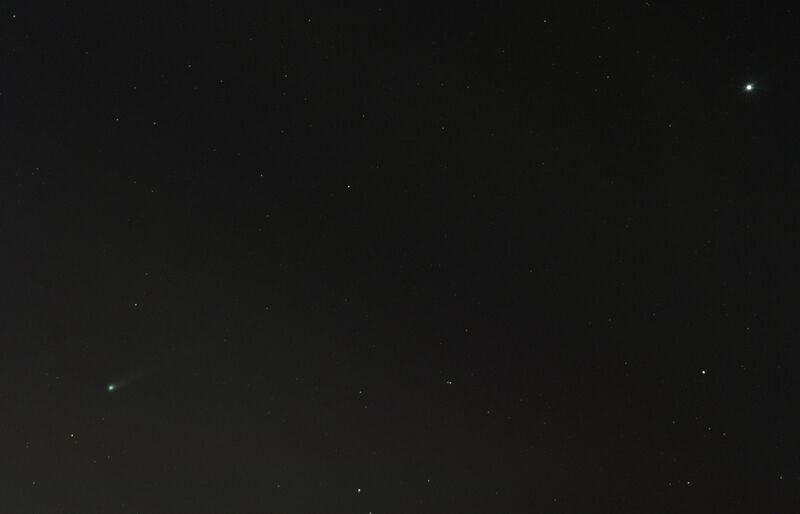 Well above the horizon, and unaffected by the twilight, is Comet Lovejoy. This was a particularly pleasing result, given the bright moonlight.